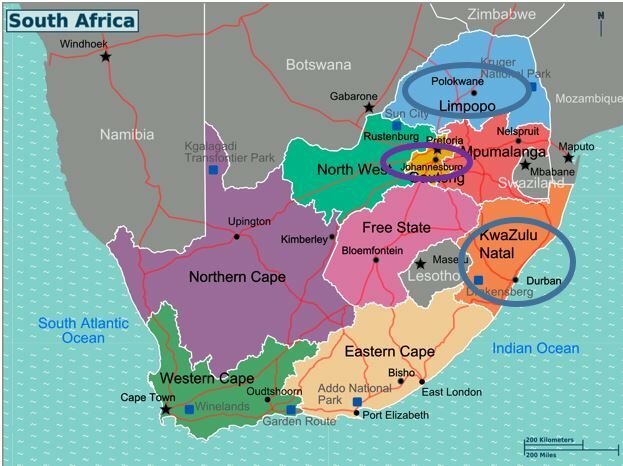 We had some fabulous news recently from our partner teacher in South Africa! 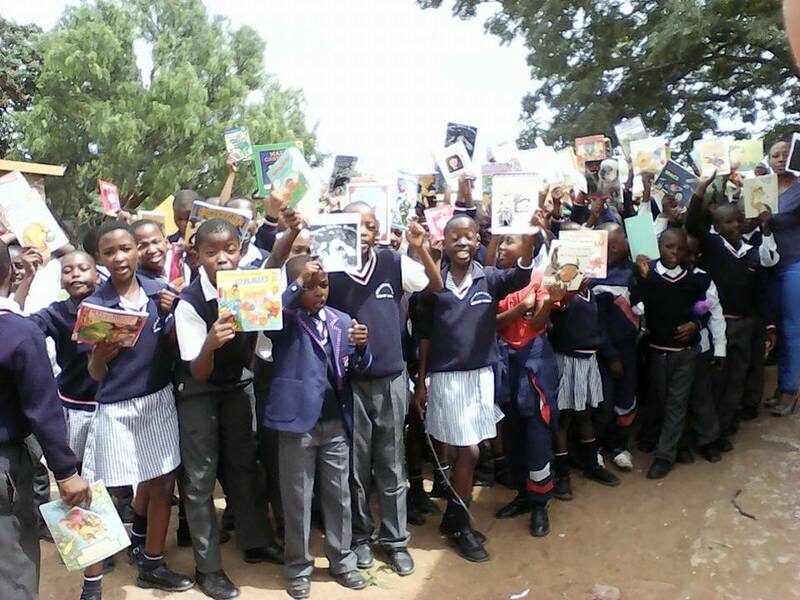 In late February we mailed off two boxes of books to Principal Phuti Ragophala and her students at Pula Madibogo Primary School in the Limpopo Province of South Africa. 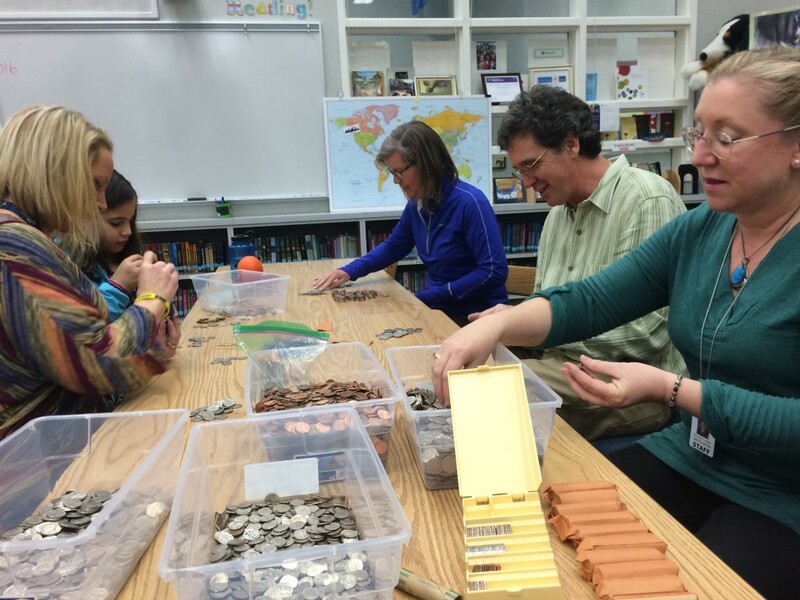 Earlier in February, my students raised $1400 in a coin drive to send as many books to our partner students as we could this year. The workers at the post office always tell me that it will take 7-10 business days for the boxes to arrive at their destination. Believe me – that’s never happened! More like 4-5 weeks is my experience! 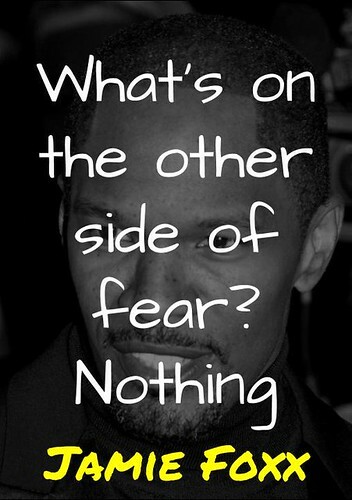 In any case, I saw this post on Facebook this week. The timing of the arrival was perfect actually. 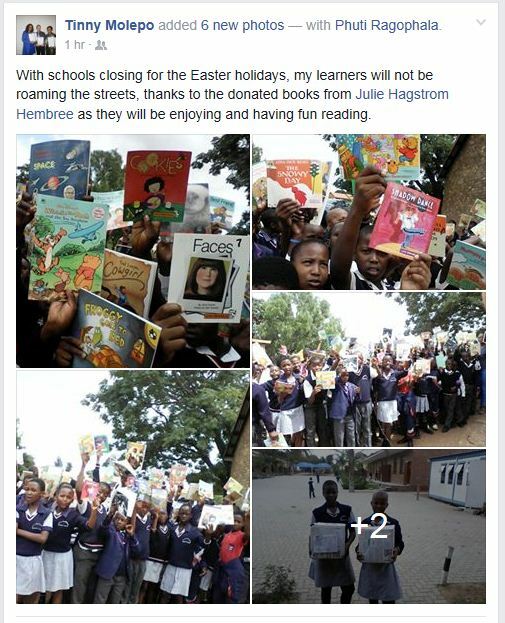 They arrived right before the school was going to close for the Easter holidays. 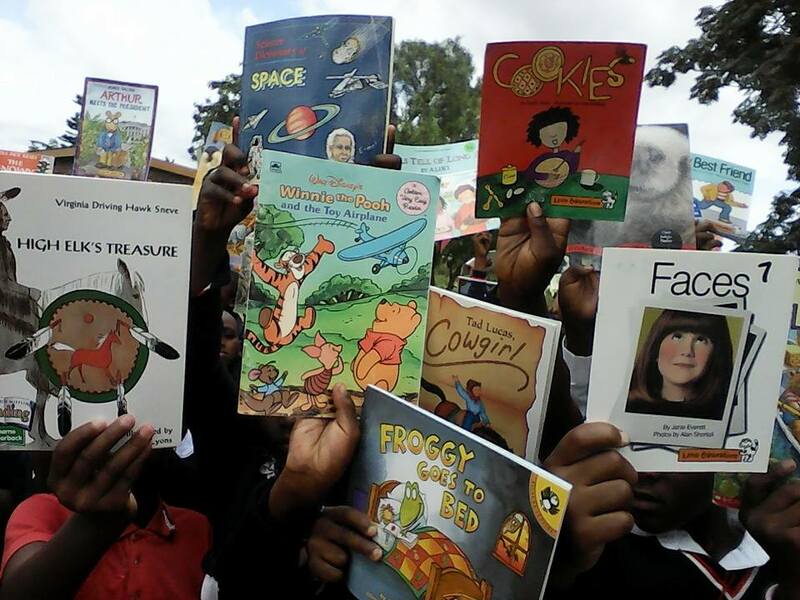 The students were glad to have some books to take home to read during vacation! 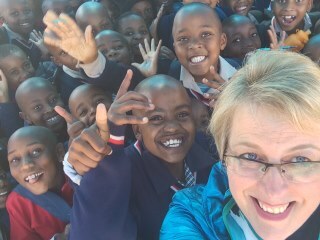 These smiles on their faces really tell the whole story.Students can make a difference in the lives of other students. 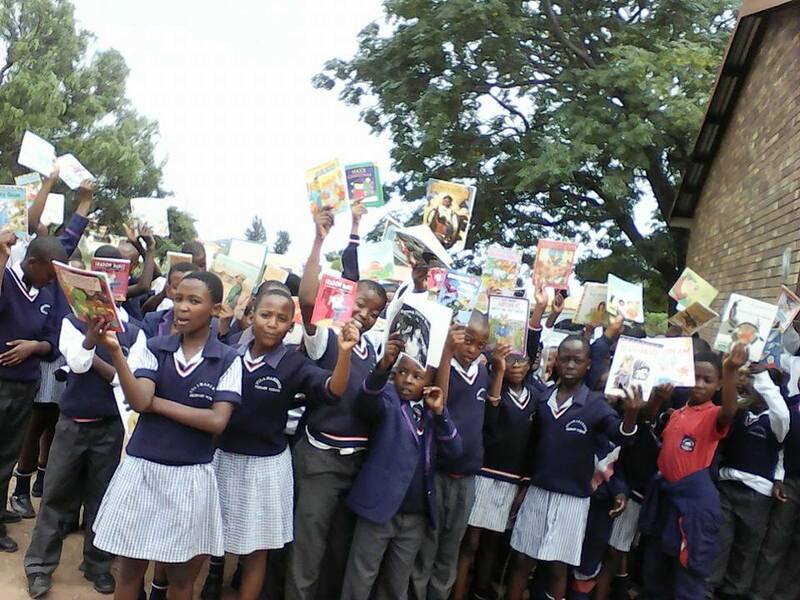 They just need to be empowered to do it by their teachers and librarians. 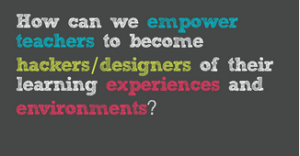 How are you empowering your students to be global learners? 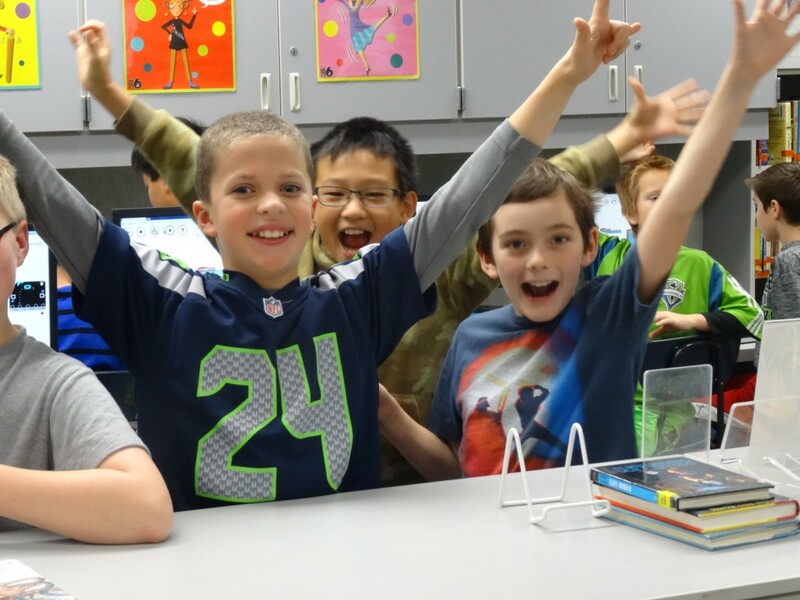 On Saturday, January 30th, Mrs. Moynihan and I were very fortunate to be able to be part of the Hack the Classroom live studio audience on the Microsoft Redmond campus. During the event we had the opportunity to listen to Hadi Partovi (founder of Code.org), speak about his experiences with computers growing up and the importance of teaching students how to code as early as kindergarten. The same morning President Obama gave his support for coding in his morning address. When we think of programming, we often think of teenagers huddled over complicated script, but coding works with the younger children too as demonstrated by Canadian teacher Leah Obach. Leah teaches first grade and her students have been coding most of the year. 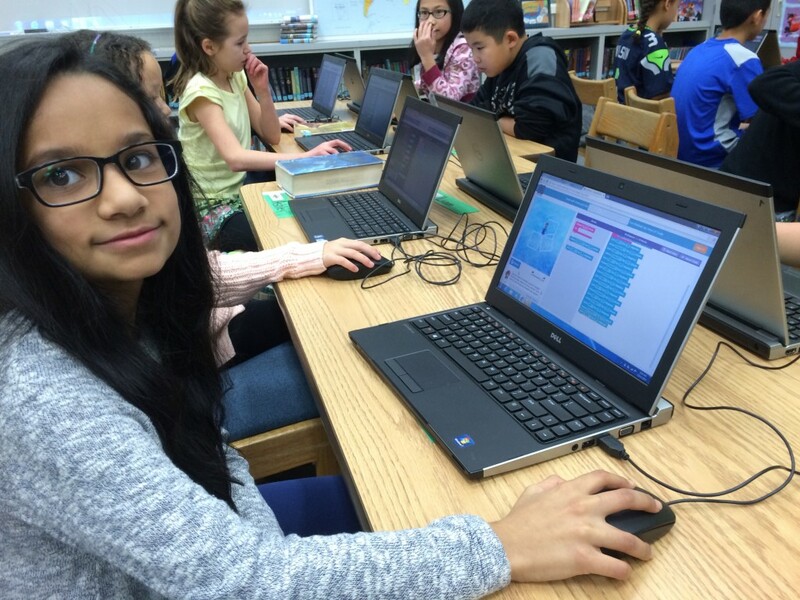 Her class was chosen to be featured in the Hack the Classroom event. Here is her classroom in action. Seeing how easily her students approach computer programming has inspired me to try more in my library classroom. Another one of the speakers was Dale Dougherty, founder of Make Magazine and Maker Faires. He brought attention to the fact that our students need time to be creative in the classroom. 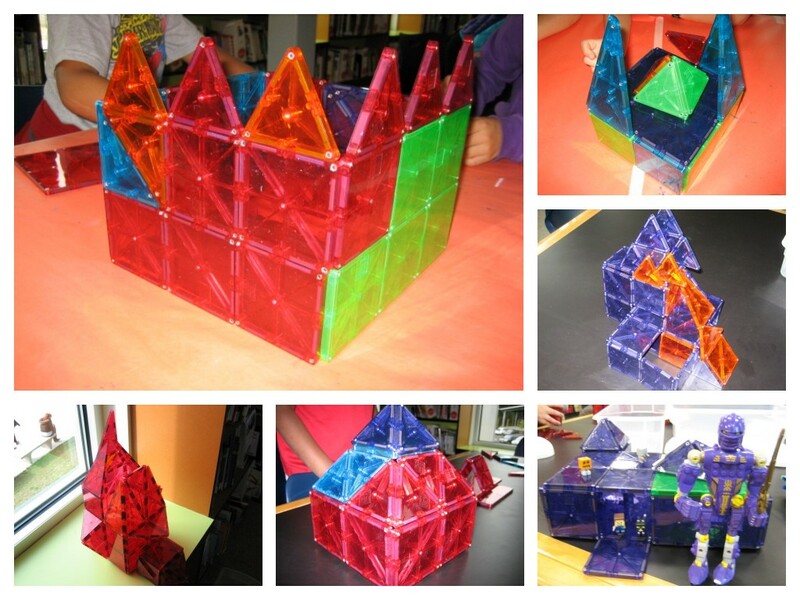 They need time to make things because it helps them develop their critical thinking skills, perseverance and expand their creativity. Richard Snyder, a middle school librarian in the Lake Washington School District asked Dale what the role school libraries have with the maker space concept. The librarians in the audience were thrilled when he said, “My secret weapon in class is the school librarian.” Makerspace time is so important to bring into the libraries because we work with all the students. Jeff Kash spoke about how he uses OneNote and OneNote ClassNotebook in his classes. Students using OneNote no longer lose all their papers or have trouble organizing themselves. OneNote stores everything digitally, so students and teachers can access anytime from any device. Rafranz Davis explained how she uses Minecraft edu in her classes. I’m probably the last person on earth who hasn’t played Minecraft yet, but I am intrigued by the higher level thinking skills that are engaged when playing this game. If you would like to watch the recording of the Hack the Classroom event, this link will take you to the website, where it will be available for about 90 days. 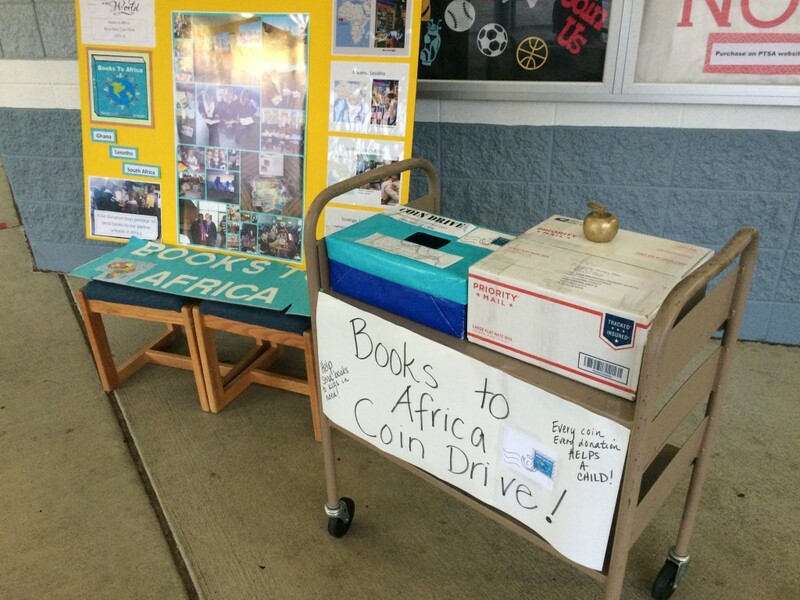 Our Coin Drive to raise money for postage to send boxes of books to our partner schools in Ghana, Lesotho and South Africa exceeded our goal! How absolutely fantastic is that?! Our goal was $1,000 and we raised over $400 more than our goal! 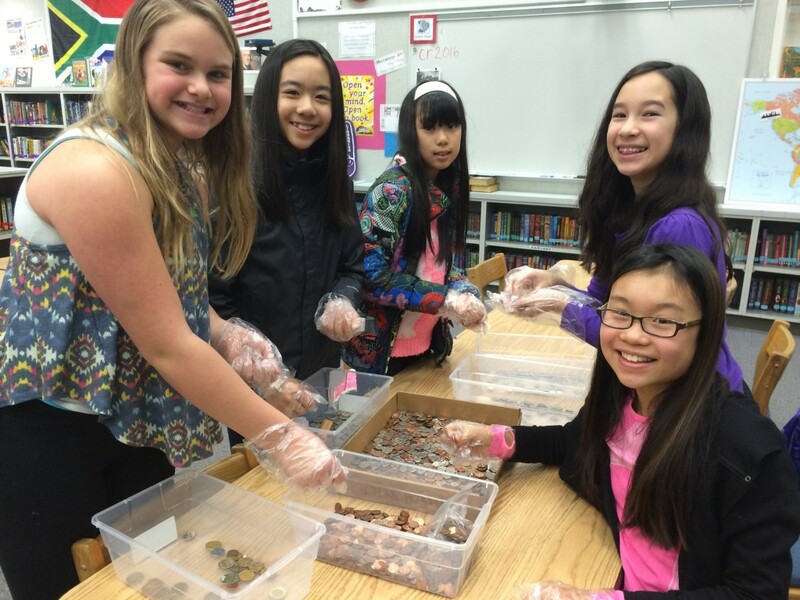 Most of the money we raised was in coins. 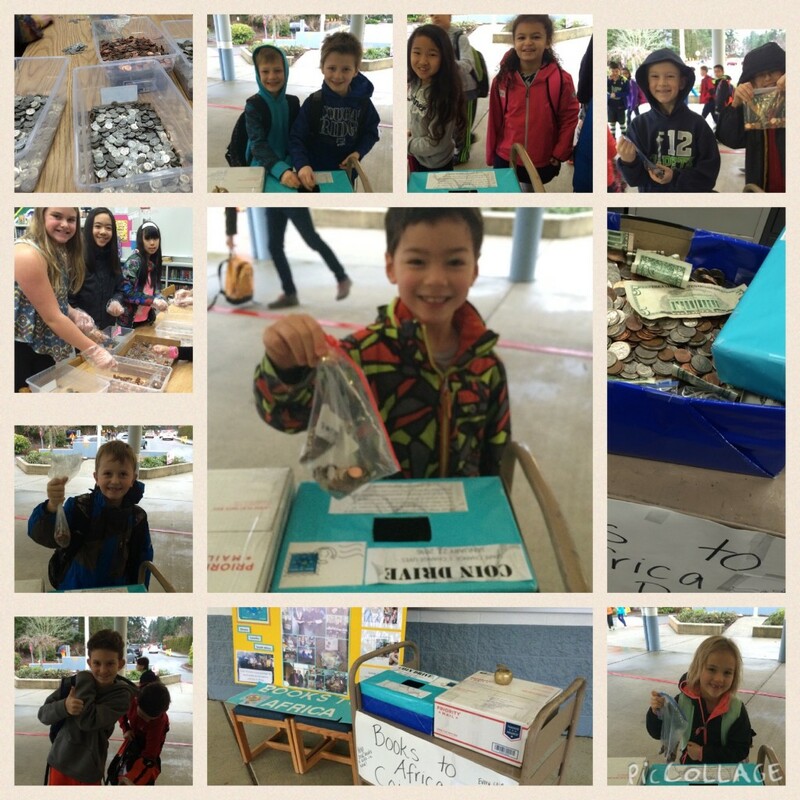 We had over 4800 pennies donated! It took hours to sort and count the coins. Thankfully there were many volunteers (students and staff) to came to help! 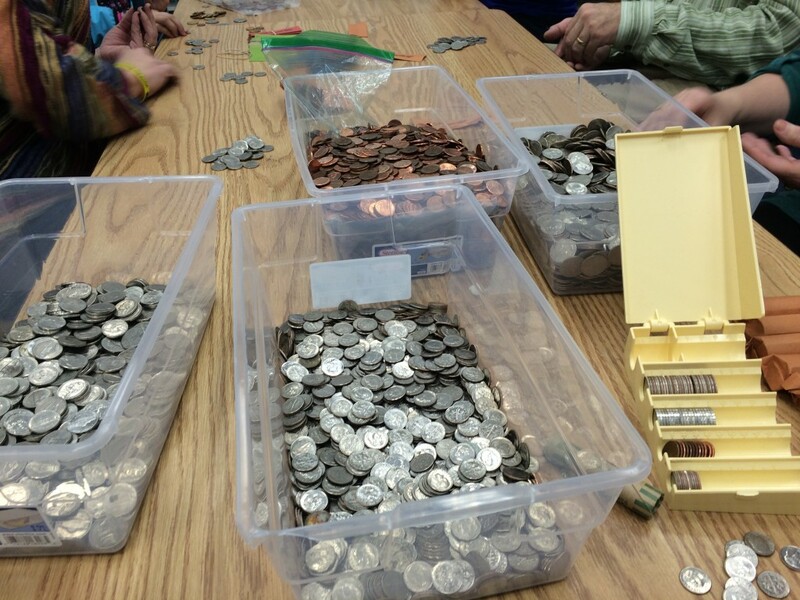 We did use Coinstar to count the pennies otherwise it would have taken hours to count and roll them. 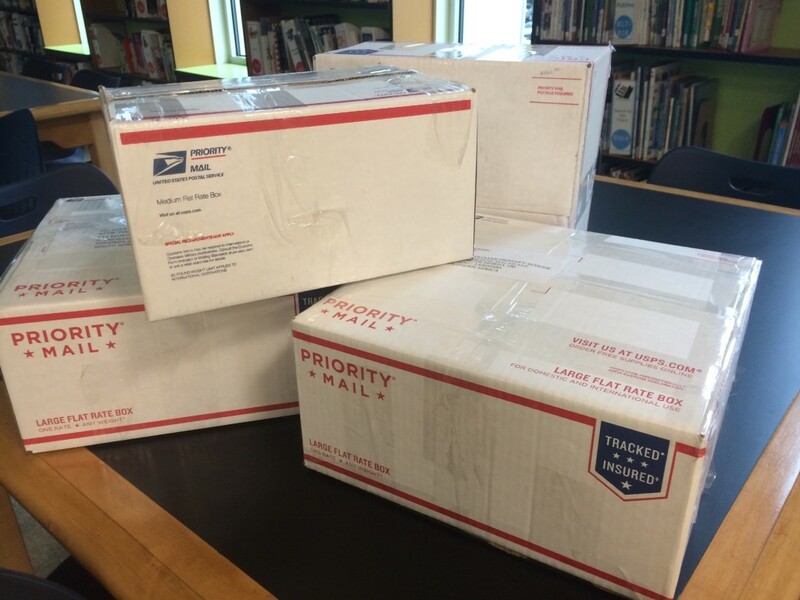 Now that we have money, we can box up donated books and send them overseas! Each student will have the opportunity to sign a book and create a book mark to insert in the boxes. In a few weeks, we will see some happy faces from some children who can really use these materials. 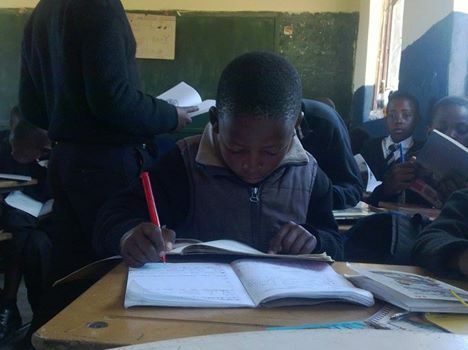 Here is a photo from Mr. Malakane’s classroom in Lesotho taken last spring. 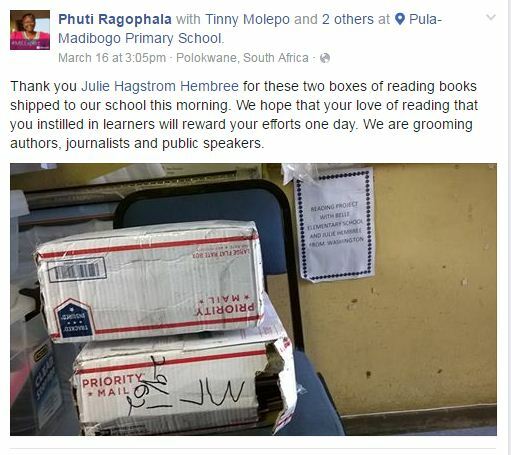 His students often use these books in lessons as well as free reading at home. 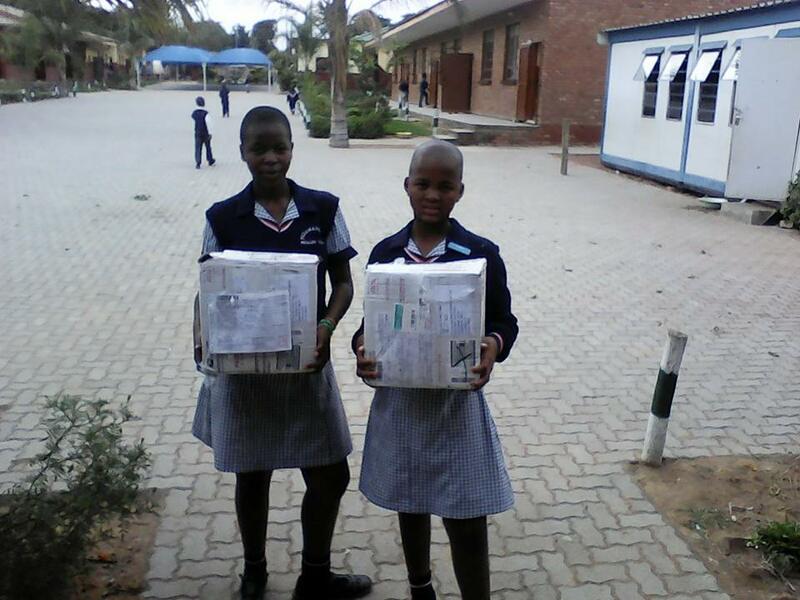 I want to thank our school community and especially our students who donated their own money to help a student in another part of the world. Your generosity is amazing. Whether you donated a penny or a dollar, every cent helps. Your actions matter! We just finished 5 days of Hour of Code week. 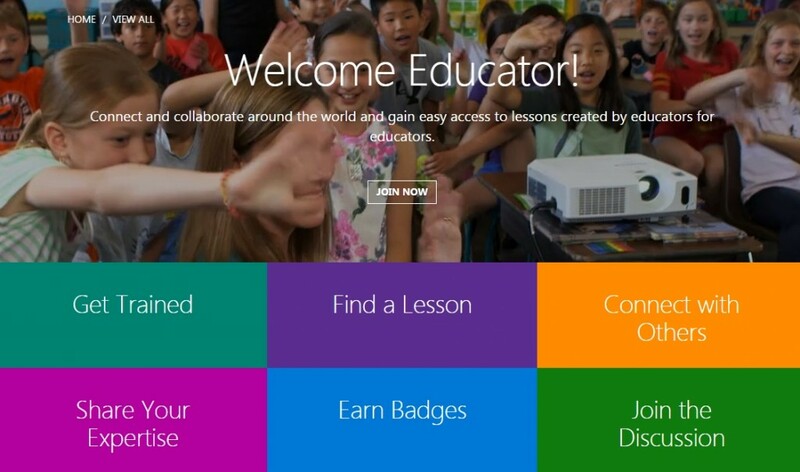 Many of the teachers used the Hour of Code website and tutorials like Minecraft, Star Wars, Angry Birds, Ice Skating to promote in our school. I had countless questions about whether kids could do this at home too! Yes! 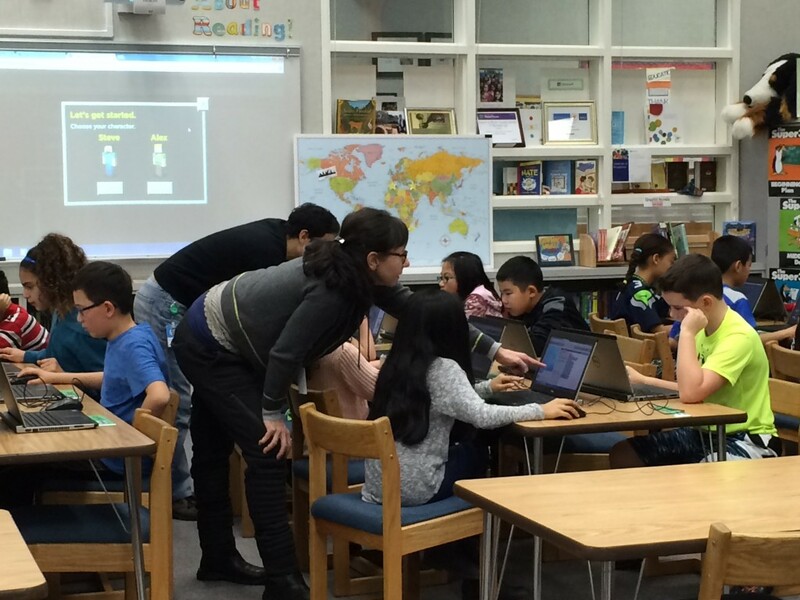 Hour of Code doesn’t have to be something you do at school. You can experiment with the games at home too. Go to https://code.org/learn for lot of options. 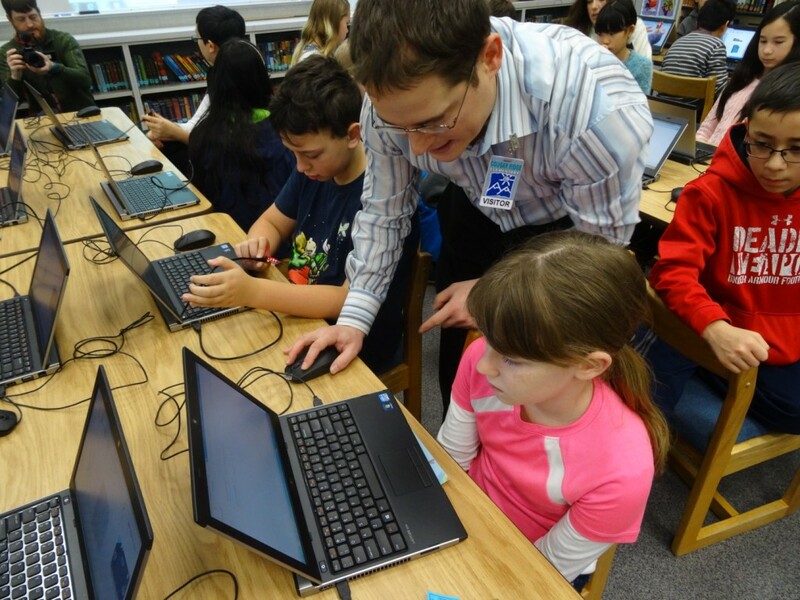 Here’s a short video that Josh Moore, one of our district Tech TOSA, created about our Hour of Code activities. 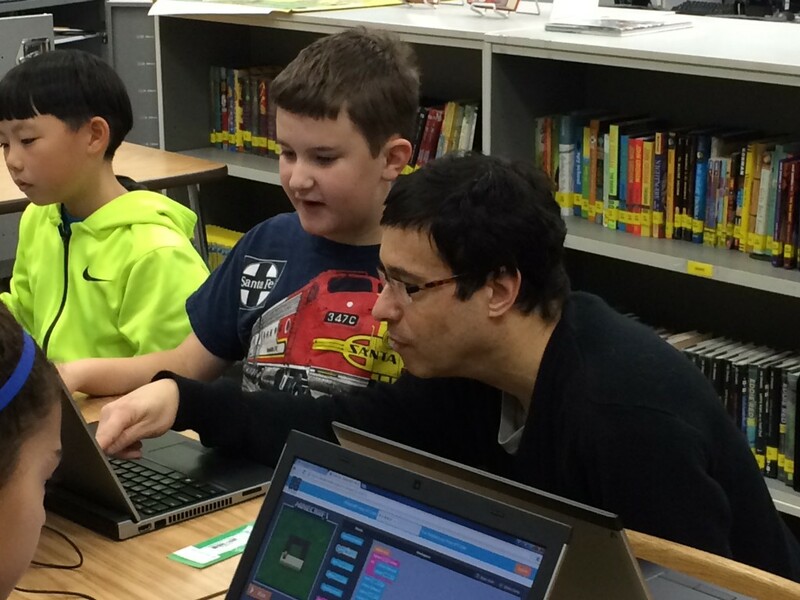 Hour of Code 2015 from Tech Tosa on Vimeo. 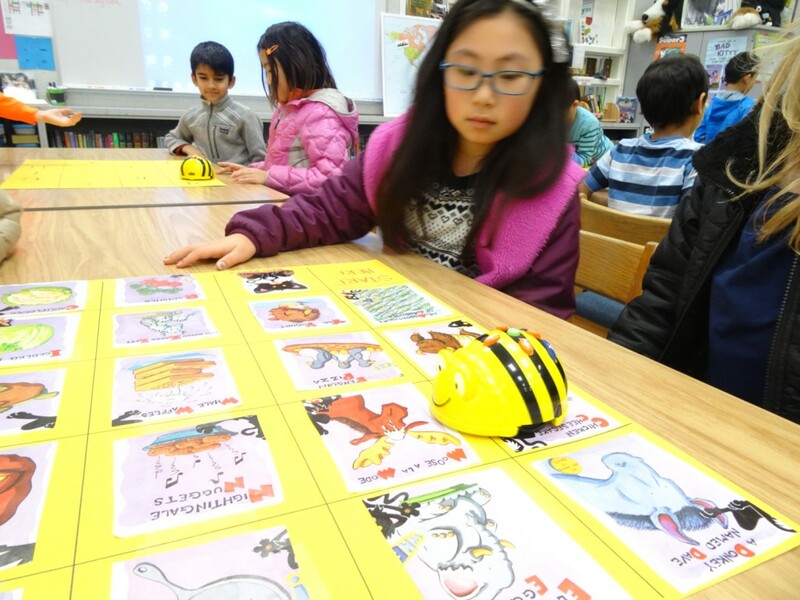 In grades K-3 we focused on Robotics with our new Bee-Bots. 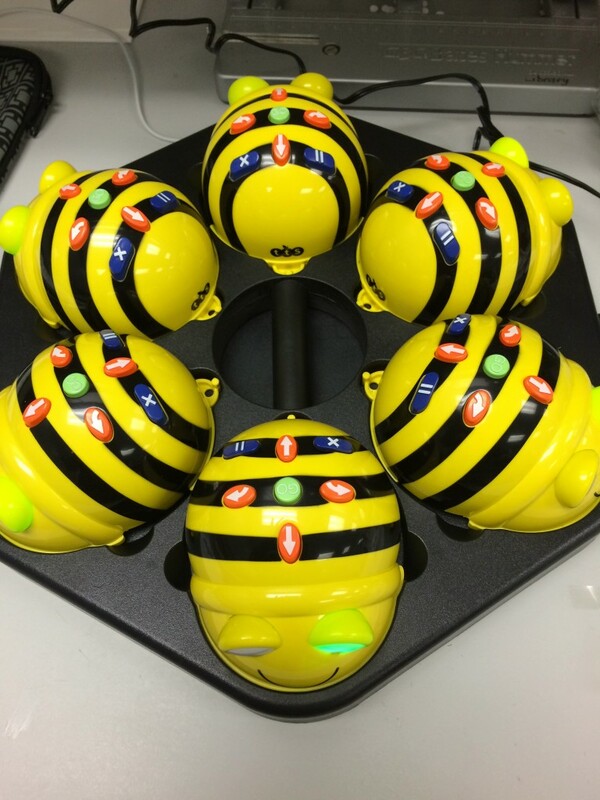 A Bee-bot is an exciting new tool to teach robotics, sequencing, critical thinking, problem solving while having lots of fun! The children use directional keys to enter a sequence of commands, push GO! and send Bee-Bot on its path. The robot eyes light up and flash when it has finished its program. 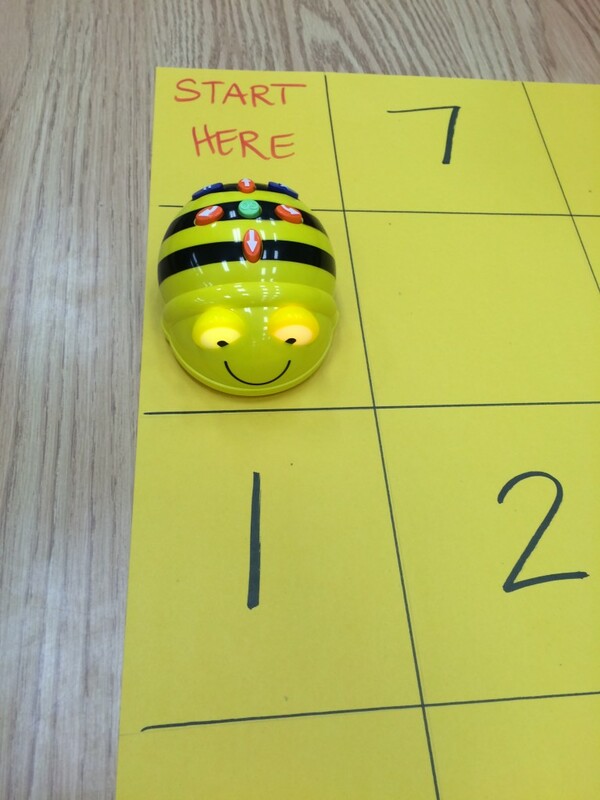 As the children became used to the commands, simple sequences became more and more complex as they guided Bee-Bot around the mats. The children learned programming skills and had a blast in the process. 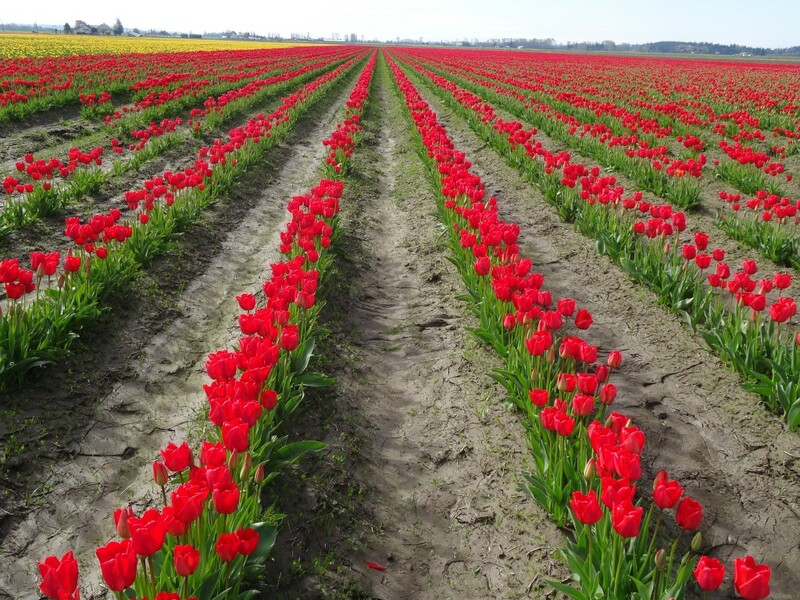 The Bee-bots are made in the UK and brought to the US by Terrapin Tools for Thinking which is, according to their website, one of the oldest and most experienced educational software companies. 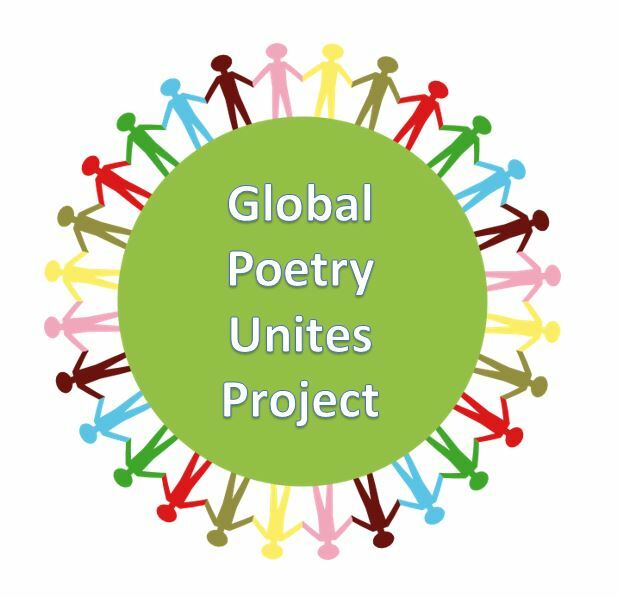 A huge shout out to Donor’s Choose and the Chevron Corporation for funding my grant! In the intermediate grades, we worked with the games on https://code.org/learn. Mr. Larry Golding, a Microsoft programmer and his wife helped us with the Minecraft, Star Wars and other games on the Hour of Code website. 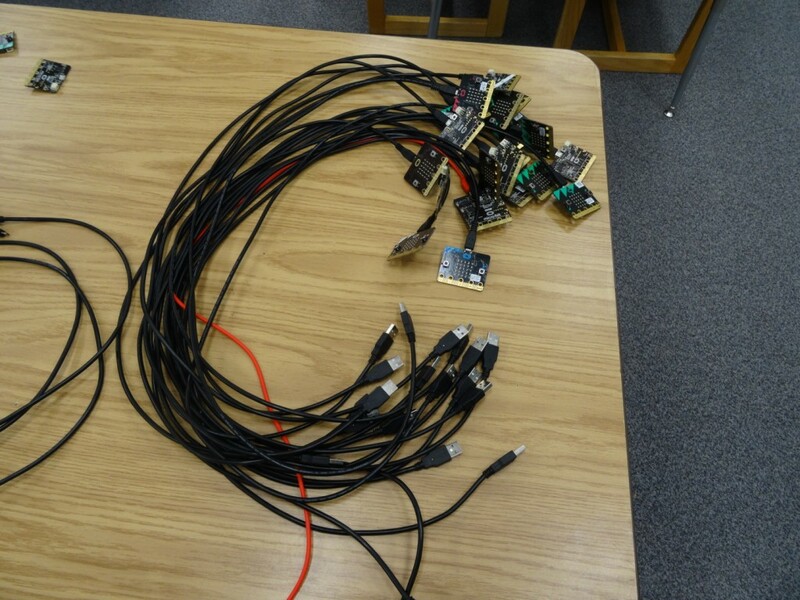 In the 5th grade classes we did some beta testing with the BBC micro:bit devices. The BBC micro:bit is a very simple computer. It is programmed using another device like a computer, smart phone, tablet, etc to write the program, which is then compiled and downloaded onto the BBC micro:bit. The device has a display made up of 25 LED lights which light up when it runs the program. 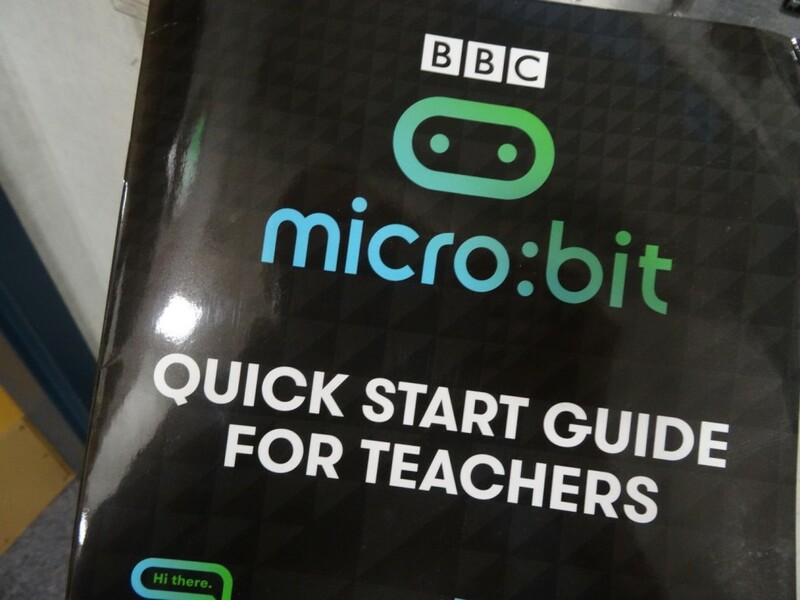 The purpose of the BBC micro:bit is to offer a gentle introduction to programming. It’s designed to be a starting point to get students interested in coding so they can move on to other, more sophisticated devices in the future. 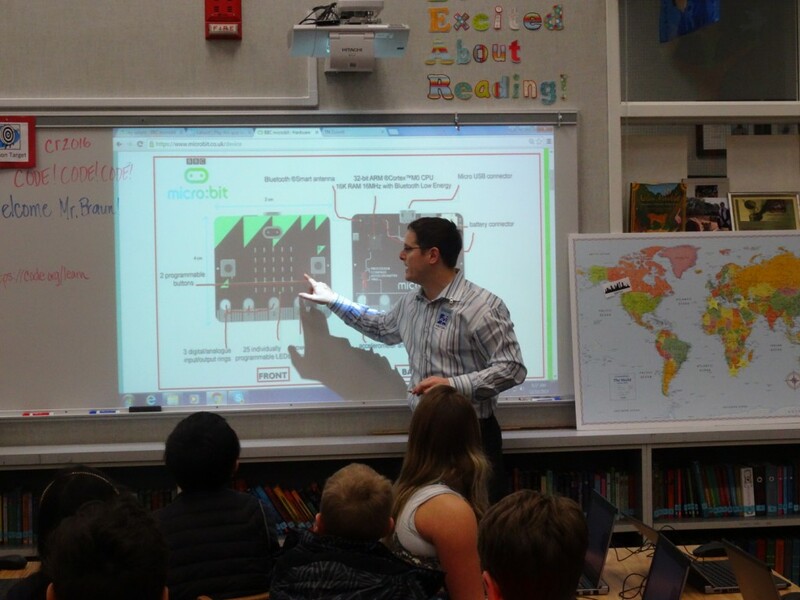 The BBC micro:bit is supported by Microsoft and we were very fortunate to have one of the programmers on the program, Michael Braun, bring the devices to our school as part of their beta testing. Michael and I know each other from the Microsoft Expert Educator program and it was so much fun to experiment with a device that isn’t even available to the open market yet. Our Hour of Code was a week-long introduction to computer science, designed to demystify code and show that anybody can learn the basics. All week long I repeatedly heard students cheering “I did it!” as they successfully figured out a command sequence. Remember, it’s not limited to school. Try coding at home too! Hurray! 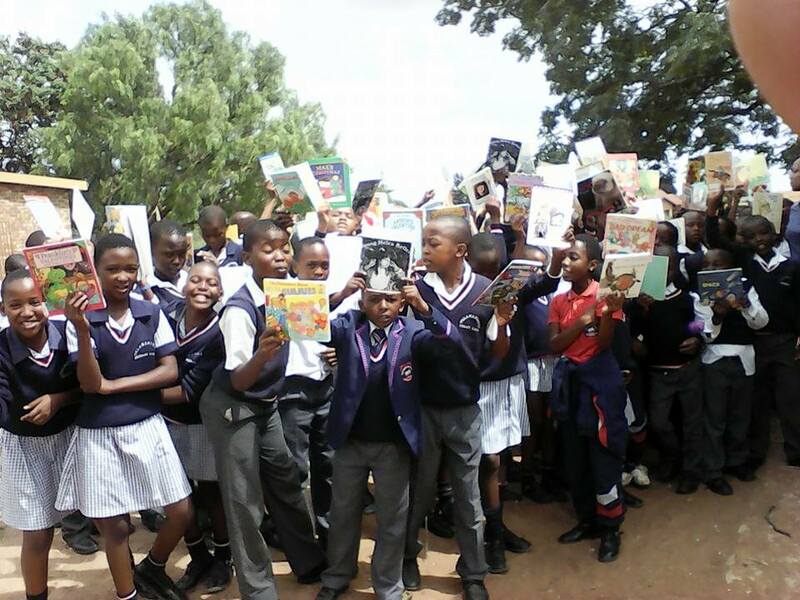 Everyone is checking out library books and taking them home to read. We have also been learning about book care rules to make sure they don’t get damaged when they go home. To help out, the second graders made some Sock Puppet and ChatterPix videos in the iPad. We hope you enjoy our latest funny book care videos! Keep your books away from siblings! 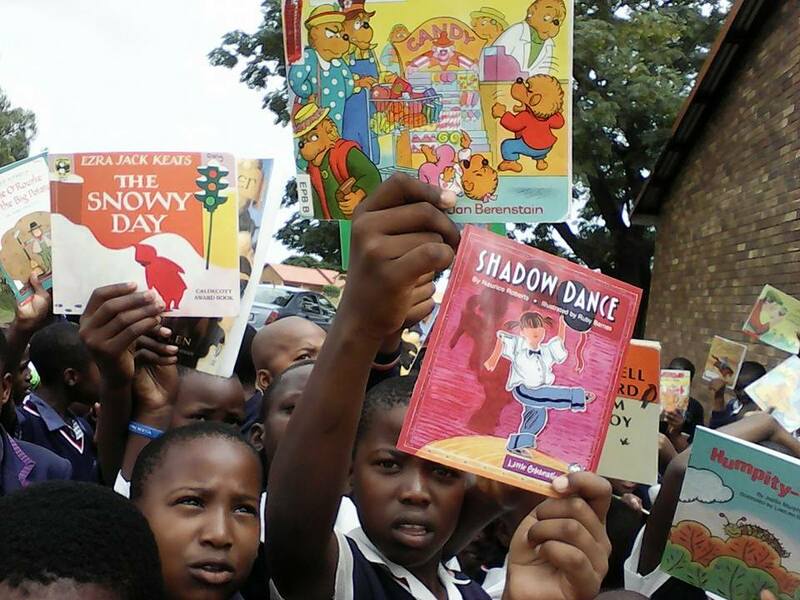 Keep your books out of the rain! 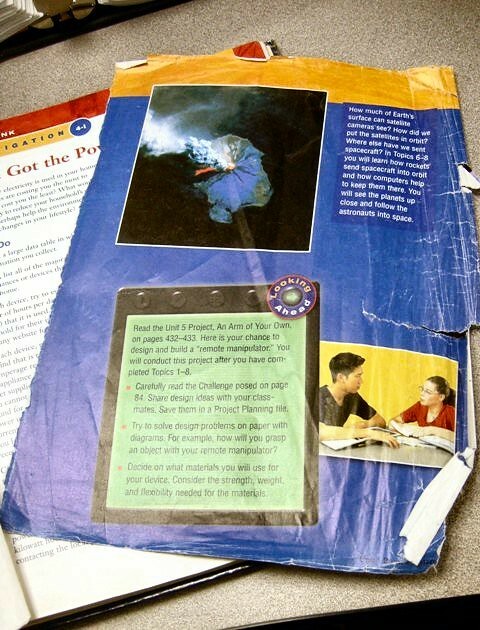 Please don’t take your library books outside on the playground! Please don’t eat near your books! Please don’t step on your books! Keep your books away from little sisters! Thank you second graders for helping us learn these important rules!